And not alone, for God is also there. Grow very well in gardens. 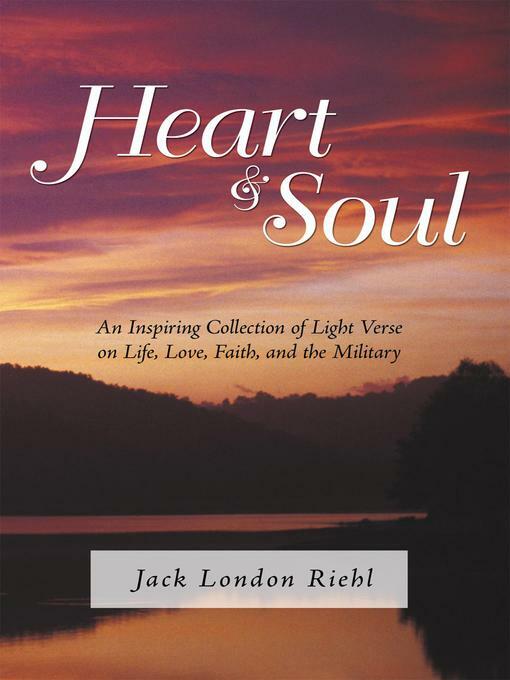 In Heart and Soul, retired high school English teacher Jack London Riehl shares a poignant collection of poetic family reminiscence, light military verse, and tender love poems that provides an engaging portrayal one man's life. Jack Riehl begins his compilation with his first two poems he wrote at age eighteen—a required assignment for all high school yearbook staff that culminated in fueling his life-long passion for written verse. In his unique style, Riehl interjects a mix of wry humor and a whimsical view of life as he offers an armchair philosopher's insight into how he learned to conquer disappointment, face the dilemmas of a soldier, laugh at himself, and think youthfully as he journeyed through eighty-eight adventurous years. Accompanied by over twenty timeless photographs, Heart and Soul offers wisdom for both the young and the old as it tenderly leads others through the circle of life.